Thanks for visiting the IMG Team section. We know you are anxious to learn about the experience, strengths and passions of each IMG Team Member. Because of the growth of our US and Bahamas offices, we are presently updating the photos and bios of each of our Asset Marketing Specialist and Management team to serve you better! Check back soon for updates. 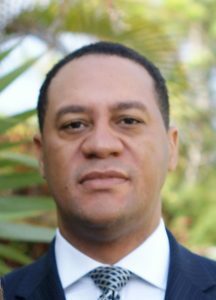 In addition to being the Chief Operations Officer of IMG, Mr. Bobby Miller is also the Managing Director of our Bahamas branch, where he is responsible for overall management and sales growth. Mr. Miller has advised many CEOs and Presidents of companies over the years on how to grow their businesses by discovering and using hidden marketing assets in their businesses and how position themselves as leaders in their field. Mr. Miller owned his first business selling neck ties and pocket pieces at the young age of 18 that he operated out of the trunk of his car. He is proud of his humble beginnings and encouraged many throughout the years to go for their dreams and do what they love to do. He is also the owner of several businesses in The Bahamas, where he enjoys being an entrepreneur. Mr. Miller is married to Apryl and is the parents of Jonathan, Laura, and Adam. He enjoys traveling, public speaking, reading, politics, and global economics. He currently sits on the board of several companies including Bountiful Assurance, where he is Vice President, and Molinero Media Group, where he is Chairman.